Buildings make an important part of today’s cities and infrastructure. They also add aesthetic value, define skyline of the cities and make them stand apart. Be it Sydney’s Opera House or Burj Khalifa of Dubai, some cities are known by their iconic buildings. But today’s buildings have to be a lot more than just being iconic or aesthetically good. Today, buildings serve as business centers, residential complexes, educational institutions, medical facilities, nuclear reactors and much more. They have to be functional as well as efficient to serve their actual purpose. A huge part of this efficiency and functionality is implemented using modern technology and equipments to achieve desired outcomes. In this article, we will look at the challenges often faced in modern buildings and how technology has helped address those challenges and meet expectations. Today’s buildings are more than static structures of steel and concrete. They are constantly experimented to be more efficient, functional and environmentally responsible. New construction norms expect them to be eco-friendly, resource efficient and having minimum impact on the environment. Today’s buildings are trying to be self-sufficient structures. They can produce electricity by solar panels used in their design and make use of day light to reduce dependence on electric illumination. They can have an indoor farm that can grow organic food and rooftop garden that help reduce their environmental impact by balancing CO2 emission. However, being eco-friendly is not the only goal. Security, facilities, services, access control, etc. are other challenges today’s buildings constantly face. Modern structures are doing away from traditional human intervened facilitation of services, security and access control in favour of technological means like building automation systems, biometric technology, smart equipments, etc. Be it a residential, a commercial or a high security facility, today’s demanding occupants need things to be done perfectly and on time. This puts a lot of pressures on security, facility and service provider in a building. The challenges and the technology used to address them are discussed in the subsequent sections. Modern buildings look fascinating from outside. More and more skyscrapers are keen to break the vertical limit and redefine the skyline of the cities around the world. While these buildings look attractive and calm from outside, they can be super busy from inside. Today’s buildings can be a complex place and keeping things running and in control can be a challenge in itself. Facility management is probably the biggest challenge in today’s buildings. Facilities and services can be crucial to serve the actual purpose of a building. If it is a residential structure, facilitating services like power backup, supplies, water, cleaning, etc. can be crucial for its occupant. In commercial buildings, expectation and criticality of service delivery can dramatically increase. It is facility management department’s responsibility how the services and facilities are provided in timely fashion. Technology has always been a great help and facility management cannot meet the expectation of today’s buildings without leveraging it. Facility managers have been leveraging tools like Building Automation System to meet the expectations of occupants. What a building automation system is and how it helps with facility management, we are going to discuss that in a while. If we put core operations aside, security is the most crucial aspect that cannot be ignored in today’s security scenario. Due to increasing land prices and space constrains, construction companies are looking to make use of space above the land, which is resulting in more and more sky scrapper. Security in such multi-storey buildings can be a challenging task. Terrorist attacks of 9/11 showed how fall of a building can collapse share markets, trust of the citizens, and the government’s illusion of being secure. After the incident, security of buildings became a worldwide concern and countermeasures were taken throughout the world. The incident of 9/11, however was more about the failed security measures at intelligence and airport level rather than building security. Laying physical security, frisking unidentified visitors entering with baggage, surveillance cameras with guarded entry and exit can be a good start. Facial biometric technology can be leveraged to identify know criminals or terrorists with the help of surveillance camera. The same technology can also be used for identifying people near the building. Facial biometric technology can identify subjects and raise an alert if a subject on surveillance gets in or out of the building. Large buildings may particularly be subjected to large numbers of people seeking access to them. In a large commercial structure with offices and stores, a lot of people may get in and out. In residential buildings, there can be people other than occupants who may seek entry, e.g. vendors, service providers, suppliers, visitors, etc. Larger residential complexes can also have multiple entrances and access control laid with manual methods can be potentially insecure and introduce loopholes. However, access control in residential buildings is not a challenge as big as in commercial ones. Commercial structures can witness a huge numbers of incoming/outgoing occupants, employees, customers, visitors, etc., which can be way more challenging to manage than residential structures. People seeking access to a residential building are mostly occupants or the service providers, only a small percentage of unidentified individuals will seek entry in residential structures. Access control becomes a challenge as well as crucial in large facilities where which a lot of unidentified people enter or exit the facility. Manual methods will fall short in such a scenarios and access control method has to take technology route to keep things in control. Access control using a biometric recognition method (e.g. 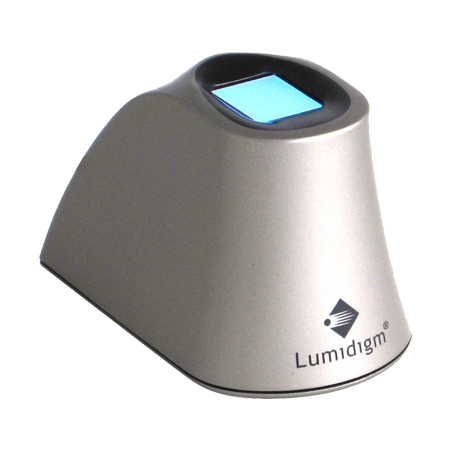 fingerprint recognition) makes a perfect sense in large commercial as well as residential structures. The main entrance can also be secured with biometric identification method with a different door for already identified people to let them enter without having to go through human intervention, while visitors and other people seeking access can be processed differently. Access control is a subset of overall security efforts which can play an important role in meeting security goals of a building. 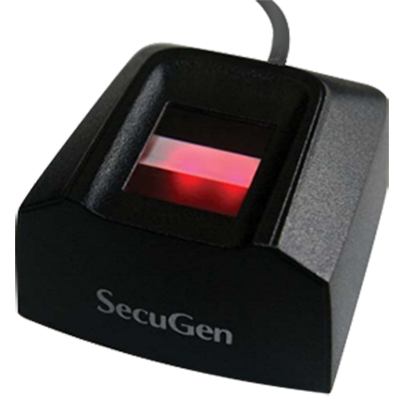 Biometric based access control has proved its efficiency in a variety of application from low to high security access needs. Laying access control only with manual methods can be a bad idea in today’s security scenario. Now when from devices to homes and buildings to cities, are eager to be touted as “smart”, it has become imperative that security and access control also go hand in hand. How ironic would it be if you turned on your IoT enabled air conditioning before reaching home but lost the door key and ended up struggling to open the door? When everything is getting smart and connected, it is high time that technology takes charge of traditional approaches of security, access control and facility management in today’s buildings. 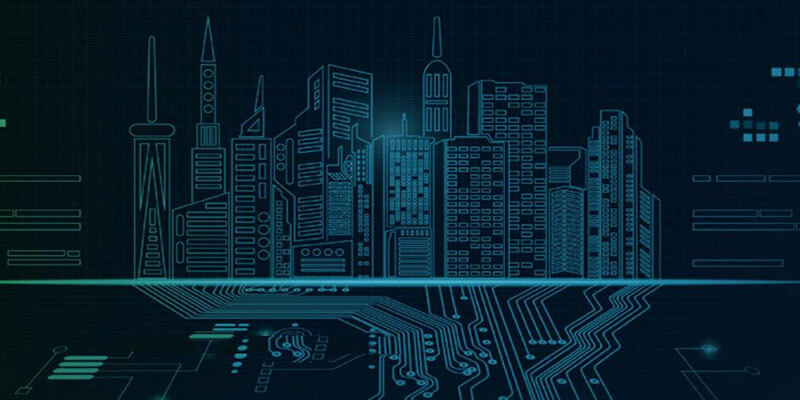 Today’s smart buildings will lead to smart cities. Sticking to traditional methods or hesitating to leverage new technologies will only hinder progress and waste time in unnecessary troubles. Why one should get stuck at the door because of a lost key when things inside it can be controlled from the outside. Today’s physical equipments are smart enough to be connected with each other, and technology companies are working upon the efficient ways of making them able to communicate with each other. Biometrics is the technology for security and access control that makes a perfect sense in the world that is increasingly getting smarter and connected. This technology eliminates the need of carrying any object like keys, cards, etc. or information like PINs or passwords, to enable you to authenticate identity on doors as well as devices. It is the same technology that you may be using your phone with fingerprint or face-unlock. If it can secure your phone, it can very well secure your door. It uses human anatomical or behavioral characteristics like voice, face geometry fingerprints, iris pattern, etc. to recognize individuals. These characteristics have been found to be unique to an individual and when used together or with PINs, cards or passwords, they result in multifactor authentication, which is considered securer approach than using biometrics or PINs/passwords alone. Multiple biometric characteristics (e.g. 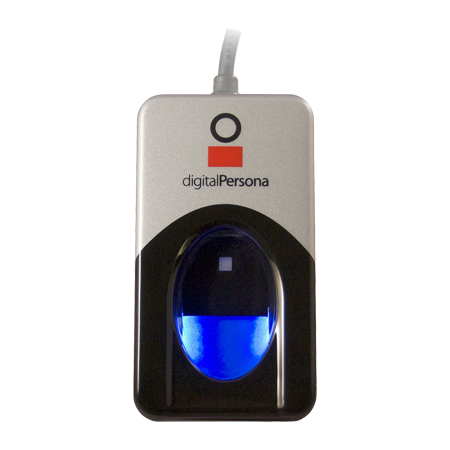 fingerprint with iris scan) can also be used together to elevate the level of security. 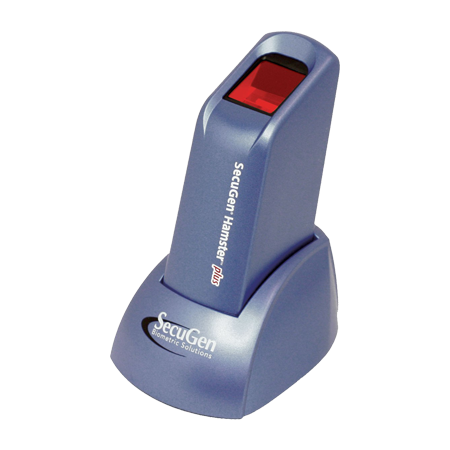 It is an approach commonly used in high security buildings and facilities for access control. This approach is called multimodal or multi-biometrics. Some buildings may require more security than typical residential or commercial outfits. High security facilities like R&D Labs, space research centers, military buildings, data centers, government buildings, etc. require high level of security due to sensitive material, equipment or information contains. Some buildings like nuclear reactors, explosive storage buildings, bio-security labs, hazardous material storage buildings, etc. may contain substance that may be potentially dangerous if exposed to public or acquired by criminals/terrorists. Such buildings also require escalated level of security owing to the type of material they store. Fortunately, biometrics identification is scalable method of identification. The level of security required can be increased or reduced depending on a particular use case. 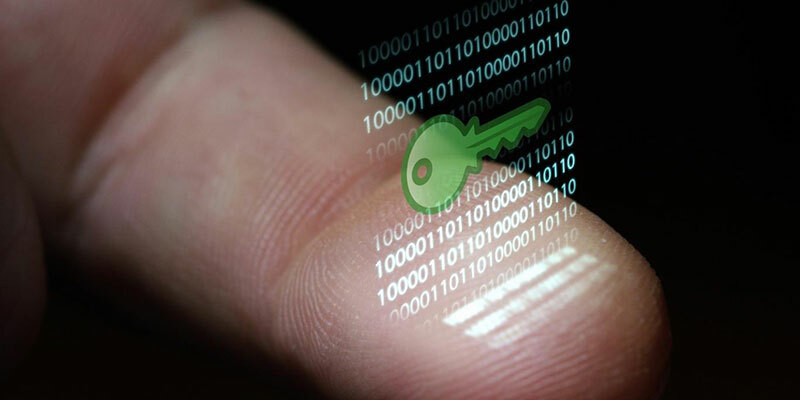 Multi-factor authentication and multi-modal biometric solution can increase the level of required security multifold. Control and monitoring of facilities and services in modern buildings can be overwhelming. While at smaller structures, they can be maintained with manual efforts, controlling and monitoring different systems, installations and equipments can be next to impossible in larger buildings and skyscrapers with manual methods. Large building can have overwhelmingly complex installations of electrical, mechanical, fire safety, HVAC (heating, ventilation, and air conditioning) systems, which can be incredibly complex to control, monitor and maintained manually. That is not it, modern buildings can have access control, lighting control, security and surveillance system, fire alarm system, etc., installed which require a centralized way to control them. To overcome the problem of monitoring and control of multiple systems at various levels, building management systems also known as building automation systems are leveraged. A BMS or BAS is a computer based system that integrates with various systems and equipments in a building, making it possible to monitor and control them from a single screen. Efficient monitoring and control results in saved energy, reduced environmental impact, efficient services and facilities. Security can also be elevated as the Building Management Systems can be integrated with the building / room access control systems. In commercial structures, it is particularly beneficial as security of commercial buildings is usually outsourced to a third party. If the building or rooms leverage biometrics for the access control, Building Automation System can integrated with them to control access throughout the facility. For example, authorized individuals can be enrolled and access can be enabled right on the system. If access needs to be revoked for an individual, e.g. an employee leaving the job or a service provider terminating the contract, it can be done instantly as soon as she makes her last exit out of the building. Gone are the days when facility management was just about facilitating a place to work; now facility management is directly related with profit and productivity. People tend to incline toward facilities, and business goes to the one offering a lot of them. We tend to go to the store that offers more facilities to buy the same thing we can buy from any store. Facilities attract people. Facility management can impact how happy the employees are in an organization. It can elongate their tenure with the company and attract new talent. When same package is offered by the different companies, if it mostly the organization with greater facilities which end up attracting and retaining employees. Customers also wish to return to stores that provide more facilities to them. It results in an increase in profit and growth. From residential to commercial and government to high security facilities, modern buildings serve as an important part of human endeavours. Today’s buildings might look calm and fascinating from outside, but they can be doing a lot inside. Modern technology powered equipments and systems make them secure, energy efficient, and functional. Facilitating services also becomes easy with technology. A BMS (Building Management System) makes it possible to control different installations, including building and room access control from a single computer. Building access control can be very crucial in laying physical security and deter intruders in large structures. Building management system also makes it easy to facilitate services as required and occupant can be billed according to the services availed. It saves a lot of time and human efforts as all the systems can be handled from a single system. With buildings getting more and more complex as well as efficient, their needs of security, access control and facility can be overwhelming. Biometrics is the technology that can meet these expectations and help buildings flaunt their smartness.